Sit-Stand Desk Mount System AMRCT100 allows for ergonomic movement throughout the day. 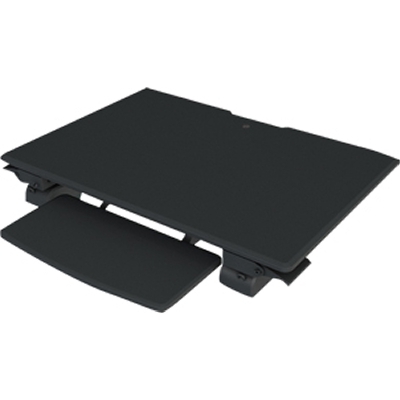 With its adjustable height this product is compatible with laptops, flat panel monitors, and even has enough room for adding a keyboard and mouse, (on either side), for all-in-one solutions (AIO PC). Now users can work sitting or standing with no interruption or extra installation. Everyone agrees; home users, office workers, and IT professionals can all benefit from this Sit-Stand Workstation. Take advantage of Amer's offer for true wellness and productivity!